Windsors of Wallesey will remember war-torn dealership facilities, long lost car brands like Wolseley, Humber and Crossley and a century of community spirit in the Wirral as it marks its 100th anniversary. Tuomey, who bought the business through a management buy-out back in 2002, commissioned research of Windsors of Wallesey’s heritage as a family-run business and found that locals were entertained with showroom film screenings during World War Two and believe the same community sprit remains intact today. 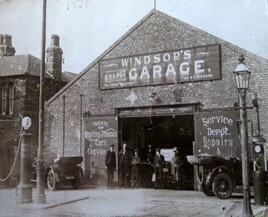 William and George Windsor set up a garage business to both sell and service motor cars and motorcycles with financial support from their mother, Mary Windsor, back in 1919. 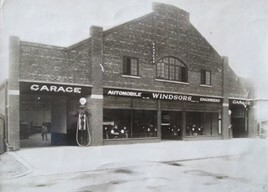 The two men acquired premises on Grove Road, Wallasey, and created Windsor’s Garage (pictured above), with Mrs M.E. Windsor as proprietor. The business was initially called the “Grange Garage”. In 1923 they acquired larger premises on Harrison Drive on the junction with Grove Road. Early photographs show that they were agents for Bayliss - Thomas and Chevrolet cars, it can also be seen that they sold Shell petrol. During September 1927 it can be seen from correspondence with a potential customer that, at that time, they were also agents for Wolseley, Humber and Crossley. On June 1, 1935, Windsor’s of Wallasey came into existence as a private limited company with the two brothers as sole directors. By that time, it was clear that the business was doing well, and it can be seen from period photographs that they had become agents for Morris cars, which for many years vied with Austin as the UK’s most popular make of car. Also, a 1935 advertisement shows that in addition to the Morris agency, they were also agents for Talbot and B.S.A. cars. The year 1939 saw the outbreak of World War Two, and from August 1940 until January 1942 Merseyside, because of the strategic importance of the Port of Liverpool, became a major target for the Luftwaffe. In fact Liverpool, and its surrounding area, was the second most bombed city in England after London. 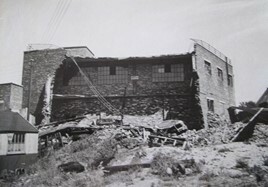 As a consequence, Wallasey suffered significant bomb damage during this period and Windsors did not escape unscathed, with the showroom devastated by the Luftwaffe’s barrage. Also, during this period and in order to maintain morale amongst the civilian population, film shows for the general public were held regularly in the paint shop. Following the end of the war, further upheaval to the motor trade occurred when, in 1951, Morris and Austin merged to form the British Motor Corporation (BMC). This would have extended Windsors’ franchise to include all BMC products which, in addition to Morris and Austin, encompassed Wolseley, Riley, MG and Austin-Healey. 1959 was a landmark year for the UK motor industry when the Mini was launched, this proved to be a great success and Windsors certainly benefitted from this innovative car. Moving on to the 1960s the next big change affecting Windsors was the acquisition during 1963/64 of a large site opposite the original Harrison Drive site; this increased the area now occupied by them to some 2.5 acres. The 1960s was a period of great change for the motor industry in the UK. Having acquired Jaguar during 1966, BMC changed its name to British Motor (Holdings) Limited (BMH) at the end of that year. This change was followed in January 1968 by the merger of BMH and Leyland Motors which became the British Leyland Motor Corporation (BLMC). As Leyland Motors had included Standard Triumph and Rover amongst its range, these makes now became available to Windsors. During the 1980s the two founding Windsor brothers passed away and the company remained in the family as three remaining sons took over (which situation remained until the mid-1990s). The next significant development for Windsors came in 1989 when they acquired an additional site, not in Wallasey but in Heswall. However, turbulence in the UK motor industry continued and by 1984 famous names such as Morris, Austin, Riley, Wolseley and Triumph had all disappeared and in 1994 BMW acquired the Rover and Mini marques (they also acquired the Triumph and Riley names). So, just left with the Rover agency, Windsors decided to expand into other makes and in 1993 Nissan joined Rover in Heswall. Also during this time, the remaining Windsor siblings retired, and the business was acquired by David Tuomey, who continues to run it today. 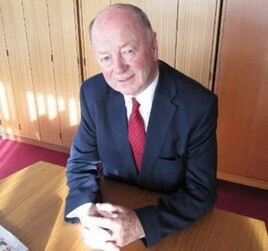 Philip McCormick joined the company in 2001 from Grant Thornton and became a Director in 2003 and has remained in this role ever since then. Philip’s contribution to the business is considered to be invaluable. Mazda became the next make to appear in the showrooms during 1994 and in 2000 Citroen joined the range of makes available. Fiat became available in 2001 and then in 2004 the Heswall branch started selling Peugeot, which expanded into Wallasey in 2012. Today, Tuomey tells AM that he has no immediate succession plans and enjoys running a business with his family and a team of staff so contented that he boasts of staff retention of “around 99%”. He said: “I’m fortunate in that the business is my hobby and my hobby is the business.